Credit Managers' Risk Mitigation was designed to help you protect your bank from the adverse impact of downward economic cycles, while preserving profits earned during upward cycles. 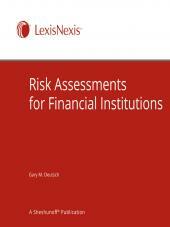 Small financial institutions must assess credit risks carefully to make informed underwriting decisions to avoid financial losses. If your examiner detects compliance weaknesses or failures, it has a broad range of corrective tools - from informal comments to formal enforcement action; so, your institution has strong incentives to stay in compliance. From credit planning to appraisals to documentation, this manual guides you through the credit process with clear guidelines you can use for your operation. 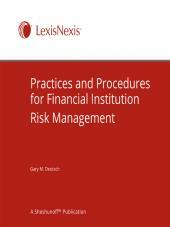 The principles, practices, and techniques discussed in this manual are based on tried-and-true methods institutions have used in modern times to protect against losses while meeting regulatory and accounting requirements. Helpful tools, such as sample documents and checklists are included. 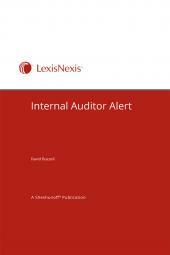 Chapters 3.1A, 7.22, 10.1 and 10.2 reprint material that appears in Internal Audit Procedures Handbook and IT Auditing for Financial Institutions. Gary M. Deutsch, CPA, MBA, CMA, CBA, CIA, has worked extensively with financial institutions in audit, lending, financial, and operational areas. He has served in senior positions for regional banks as VP of Finance, Real Estate Loan Officer, and Senior Audit Manager. Mr. Deutsch served as a consultant to financial institutions in strategic planning, profit improvement, financial management, and merger- and acquisition-related studies while working at KPMG. He was the CFO at a start-up bank, where he organized the accounting, finance, and investment functions to manage significant growth. Mr. Deutsch is the President of BRT Publications LLC, a professional authoring company serving the financial industry. Some of his published works for Sheshunoff include Risk Assessments for Financial Institutions, Practices and Procedures for Financial Institution Risk Management, Internal Audit Procedures Handbook, Internal Auditor Alert, Credit Manager’s Risk Mitigation, and Bank Security Report.